I’ll be at C2E2, the Chicago Comic & Entertainment Expo, on Sunday afternoon, April 8. I’ll appear on a panel called The End of the World As we Know It: Dystopian & Utopian Futures in Fiction, from 1:30 to 2:30 p.m. in Room S405b. 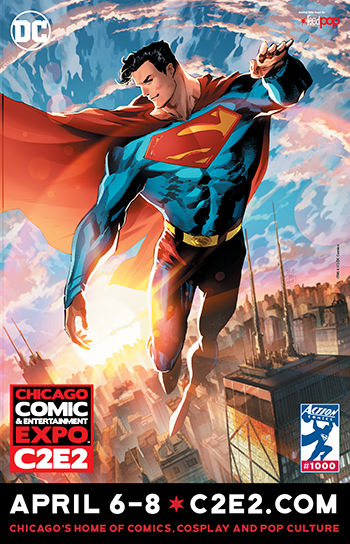 C2E2 will be held April 6 to 8 at the South Building at McCormick Place, 2301 S. Lake Shore Drive. It’s a Chicago convention for fans dedicated to comics, pop culture, books, graphic novels, anime, manga, video games, toys, movies, and television. Last year 80,000 people attended. C2E2 is especially known for its cosplay championships.